Miners working in two neighboring Illinois coal mines have made one of the most astounding discoveries of the 21st century. 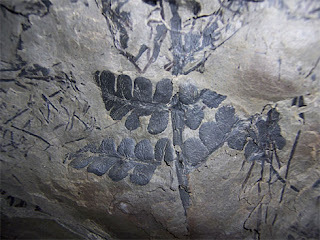 As they dug deep beneath the earth, they began to notice that the ceilings of their tunnels displayed an astounding variety of plant fossils, including 130-foot club mosses and tree-sized horsetails that resembled giant asparagus. 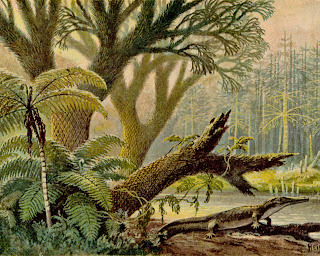 As it turns out, they had unwittingly uncovered the remains of one of the planet's first rain forests. Wow! I can't believe that this was in Illinois. I would love to be an archaeologist or scientist looking at this spectacular disp;ay all day!